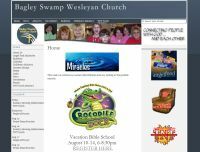 Redesign of layout, navigation, and animation of sub pages created by eddie smith designs. Logos designed by separate artist. Web template provided. Demo flash designed by another artist. Design, coding, logo design, navigation, and graphics created by eddie smith designs. Word Press theme template used. Site content and images are maintained by the client. Complete redesign of layout, navigation, and animation of main page and each subpage created by eddie smith designs. Logos designed by separate artists. Complete design of layout, navigation, and animation created by eddie smith designs. Logo and "Worship the King" artwork with crown and thorns designed by another artist. "Heaven Week" header designed by another artist. Logos and artwork for banners submitted by other artists. Logo designed by another artist. Complete creation by eddie smith designs. Mt. Zion Wesleyan Church logo created by another designer. Layout designed by eddie smith designs. Complete design of layout, navigation, logo, marketing strategy, consultation, and animation created by eddie smith designs. Design of layout, navigation, marketing strategy, consultation, and animation created by eddie smith designs. Stock art, stock photography, and photography by others also included. Creation by eddie smith designs. Idea inspired by the hit TV show Survivor. Creation by eddie smith designs. Mt. Zion Wesleyan Church logo created by another artist. Complete design of layout and navigation created by eddie smith designs. Artwork designed by another artist. Site is no longer in use. Current updates are made by another artist. Re-design of layout, navigation, and flash animation created by eddie smith designs. Header and marketing campaign designed by other artists and consultants. Re-design of 2400+ pages of layout and navigation created by eddie smith designs. .pdf file created by another artist. Kryptonian font used to create Super Man logo. Layout created by eddie smith designs. Logo and seal designed by another artist. Branding campaign and statements created by other consultants. Logos designed by other artists. Flash animation created by eddie smith designs.